Lot Size: 12860.4 sq. ft. 91.86ft x 140ft "Corner, Rectangular"
716 Kaposvar Drive, Esterhazy, is in a mature, quiet, residential area on the East side of Town. The Esterhazy walking trails are just a step away from the back yard on this property & really has a bit of country in your own back yard! This home features many "must-have's" when searching for the right home for your family: Foundation is ICF block with in-floor heating in bsmt, 2 car attached garage (28x30) as well as a single storage garage (14'x25')in the back yard; kitchen, dining room & living room features an open floor design, with patio deck area off the dining room, 3 very spacious bedrooms on the main floor with the master bedroom having a 3 pc ensuite. Hardwood floors compliment the decor throughout the home in the dining room, living room, hallway and master bedroom, trimmed with ceramic tile and laminate. Ample Kitchen mahogany cabinets provide great storage and prep space. Finished bsmt features a relaxing rec room area, 2 further bedrooms, 3 pc bathroom and a very spacious work shop room that would suit any handyman or hobbies you may want to pursue. More great values are: new EFF furnace in February of 2018; sump pump 2018; water heater in 2014; underground sprinklers. Great curb appeal with the stucco exterior, 2 car concrete driveway, sidewalks and the metal soffits/fascia/eaves, makes this home virtually maintenance free. This property is ready and waiting for your family to enjoy. Call your listing agent today to book your personal viewing and find out more information on this family home. 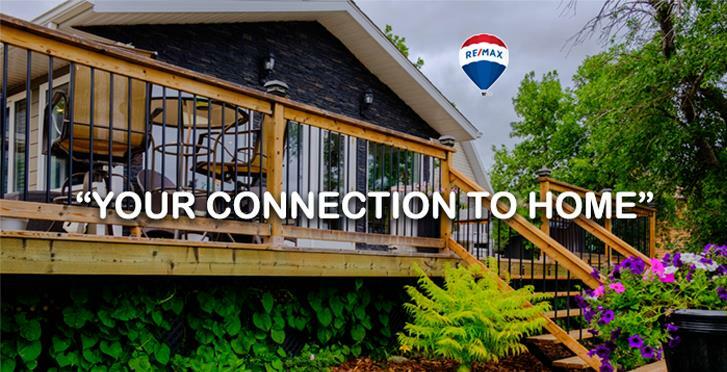 Make Your Connection to Home at 716 Kaposvar Drive, Esterhazy.